Just how busy are the King Street station firefighters? The proposal from Halifax Regional Fire and Emergency chief Doug Trussler to staff volunteers at the King Street fire station on nights and weekends has not gone without criticism. Downtown Dartmouth residents (among others in HRM) are strongly opposed to changes that they say will leave the dense urban centre vulnerable. 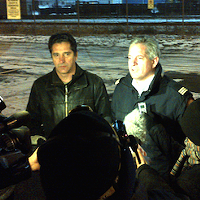 Trussler and HRFE argue the opposite; that this is the best and safest allocation of HRM's limited resources. It's a complex, emotionally-charged issue. There’s no doubt every second counts when it comes to putting out a fire, but just how needed are the firefighters on King Street? According to data supplied by the city (which we’ve embedded below), the King Street fire station receives about 330 calls in the course of an average year (in their district). Most of those are accidents, false alarms and investigations. 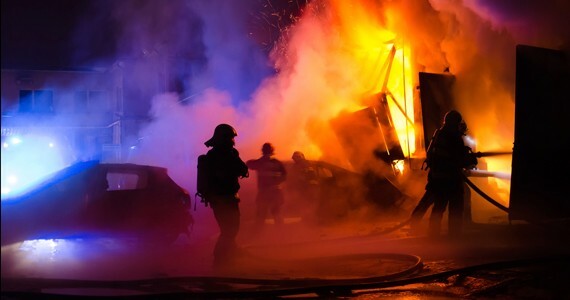 There were only four calls over the last three years involving major structural fires, and 17 calls in the same period for minor structural fires. When all fire calls are grouped together (including appliance, electrical, forest and vandalism), they only account for about 11 percent of what King Street's firefighters roll out on. That's just in their own district, though. Trussler has told the media that 73 percent of King Street’s calls are to backup firefighters from other stations. According to HRM, in 2015 the station rolled out on 650 calls for service outside their jurisdiction (compared to 324 within). The nearby Highfield Drive station gets double the calls King Street responds to—717 in 2015 compared to King Street's 324. Lady Hammond Road’s station in Halifax averages about 300 calls a year, while Patton Road in Sackville usually receives under 50. 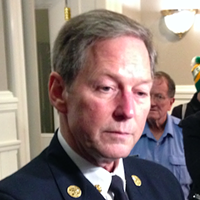 A quick refresher: Last spring chief Doug Trussler came to council with recommendations to close several urban and rural fire stations that HRFE considered redundant. Public outcry and Matt Whitman’s impassioned pleas eventually caused council to vote down that proposal and ask Trussler for alternative staffing solutions. The result is this new plan which will staff two urban stations—King Street in Dartmouth and Lady Hammond Road in Halifax—with volunteers on nights and weekends. A third station, Patton Road in Lower Sackville, will move to an all-volunteer roster. But really it's King Street everyone’s angry about. Last week, nearly 200 people showed up to a fiery community meeting in Dartmouth to criticize Trussler and his plan (the chief wasn’t invited). Hundreds have signed a petition against the changes. 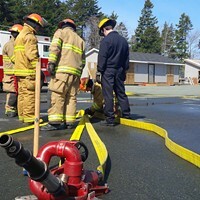 Opposing voices include city councillors, retired politicians, the Downtown Dartmouth Business Commission, fire dispatchers, developers, musicians and the firefighters’ union. Joel Plaskett, no stranger to petitioning council given the status down at the Khyber, wrote an open letter to the municipality after attending last week’s meeting. He’s not a fan of the proposed changes. At issue is whether a rotating volunteer “night crew” can hope to respond as quickly and professionally to calls in a growing area of dense development like downtown Dartmouth. Developer Francis Fares argues Trussler’s changes run counter to the downtown revitalization symbolized in his King’s Wharf investment. Trussler and HRFE say the reallocations would still easily allow firefighters to hit their target of responding to a fire within five minutes, 90 percent of the time. The department commissioned three independent studies which back up this claim. 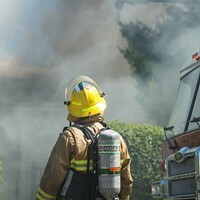 The firefighters’ union rebuts those studies with a report of their own, prepared by the International Association of Firefighters in Washington. Go ahead and read all the info for yourself, but we’re getting down into some pretty technical mapping details and hypotheticals to try and determine the outcome of least damage. There are a lot of numbers, and a lot of potential scenarios for tragedies that may or may not ever occur. We don't know, as of right now, when fires are most likely to occur, for example (which could strengthen or weaken the case for volunteers on evenings and weekends). One way or another the decision will rest with Regional Council, who debate the future of HRM’s firefighting service tomorrow at City Hall.